Visiting Safaris and Pyha-Luosto National Park will get you outdoors. Get some historical perspective at Rovaniemi Church and Church of Sodankyla. Venture out of the city with trips to Kopara Reindeer Park (in Luosto), Tornio Church (in Tornio) and Kemi (Sampo Icebreaker & Kemi Church). And it doesn't end there: get engrossed in the history at Arktikum, get in on the family fun at SantaPark - the Home Cavern of Santa Claus, don't miss a visit to Marttiinin Wanha Tehdas, and snap pictures at Lumberjack's Candle Bridge. 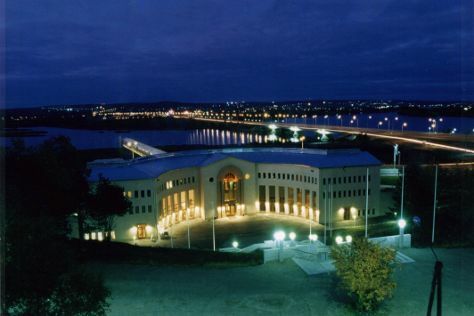 To see traveler tips, ratings, other places to visit, and more tourist information, read our Rovaniemi trip maker site . In February in Rovaniemi, expect temperatures between -6°C during the day and -11°C at night. Wrap up your sightseeing on the 4th (Mon) to allow time to travel back home.